Torin Lee is a certified professional life coach, healer, author and motivational speaker. She brings almost 20 years of coaching, communication, training and business experience to the field. Torin is most passionate about helping people in navigate crisis and major life transitions. She helps those she partners with find their path forward. A native global citizen (she has lived in MI, CA, CO, VA/DC, Australia, other places and currently Marlborough, CT), she has worked with business leaders, couples, teenagers and women, motivating and inspiring people to create a passion-filled life. Torin is the founder of Oneida Holistic Health Center & TL Coaching (www.mypathforward.net and www.theocenter.net) and Catchfly, LLC (www.catchfly.com) and Executive Director of the newly launched Oneida Health Foundation (www.oneidahealthfoundation.org). Torin Lee is a storyteller, teacher and motivational speaker. She captivates audiences with her expertise and personal experiences of overcoming major life changes, humor and vivid storytelling. She turns serious issues into a visual feast and enlightening experience. Your audience will walk away with a new perspective of how everyone can achieve a balanced, passion-filled and abundant life. If you are seeking a qualified, experienced, and engaging speaker, Torin is the right choice for your next event. Torin saved our family - we were in a major relationship crisis a few months before our wedding. Not only did we get married, but we are more on love now than ever! I'd recommend her to anybody who wants to improve their relationship or life. - R. D.
I’ve worked with Torin Lee for over 10 years – she continues to drive for creative ways to apply her expertise and is a truly talented coach, committed to helping you achieve your goals and dreams. -Cheri S.
I have been a member of Torin's women's group since 2011 and her skills as a coach and thought partner are superb. She helped me work through several life altering transitions - far more productive than my many years of traditional therapy. 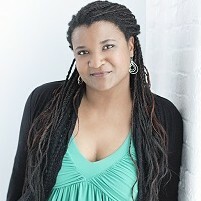 - Michelle C.
Find out more about Pathfinder, Coach and Motivator at http://www.mypathforward.net.